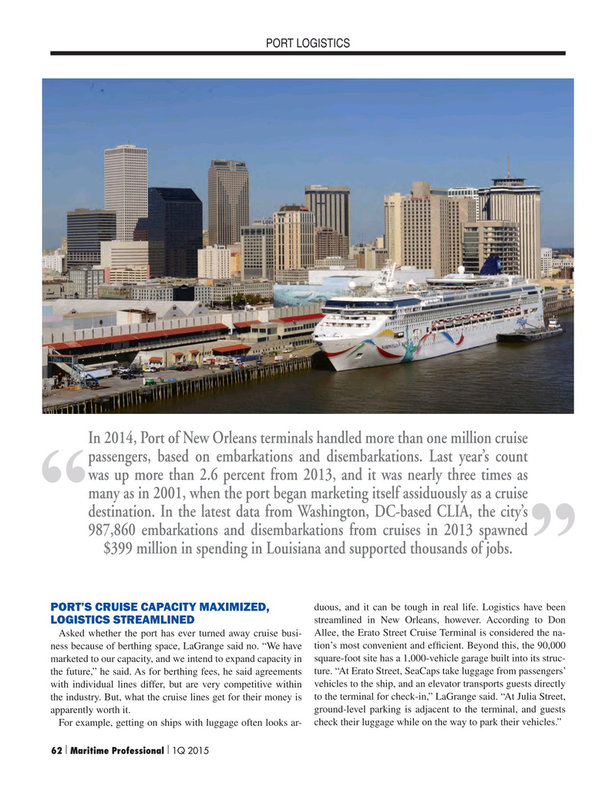 In 2014, Port of New Orleans terminals handled more than one million cruise passengers, based on embarkations and disembarkations. Last year’s count was up more than 2.6 percent from 2013, and it was nearly three times as many as in 2001, when the port began marketing itself assiduously as a cruise “ destination. In the latest data from Washington, DC-based CLIA, the city’s 987,860 embarkations and disembarkations from cruises in 2013 spawned $399 million in spending in Louisiana and supported thousands of jobs.